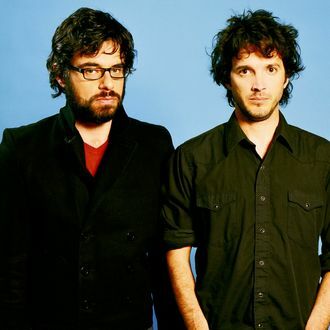 There have been optimistic rumblings for years about Flight of the Conchords — the New Zealand comedy-music duo of Jemaine Clement and Bret McKenzie — coming to the big screen, but now it’s official. Speaking to Indiewire in a new interview, Clement confirmed that a film is indeed in the works and being written by the two Kiwis. “We have actually started writing one,” he said. “But who knows if it will ever be made, we’ve written some notes for some different film ideas. We’re not down to the stage where we’re going, ‘The film is going to be like this,’ it could be this, this, this, this, this.” As long as each “this” has a song attached, we’re in.